The other day I was walking around the hardware store where I work when the song “As” by Stevie Wonder came over the radio. I smiled because I remember playing that over and over on the cassette player. I think I played that whole recording so much I wore out the cassettes. That got me wondering what other albums made such in impact on me that I might have worn them out, also. This is my list, in no particular order. You can tell that it dates me rather well, but this is my list, not yours! However, if you’d like to tell me about some of the albums you wore out and why, I’d like to hear about it. 1. Songs in the Key of Life – Stevie Wonder. It is hard to put into words the sheer brilliance of Stevie Wonder. Many consider this album his finest work, and I would have to agree. 2. 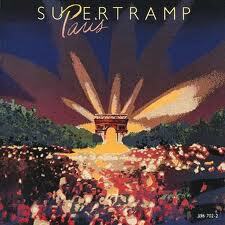 Paris – Supertramp. One of the best live albums I ever heard. The lyrics and astounding chord patterns still amaze me. I found it interesting to learn this was Princess Diana’s favorite group. 3. 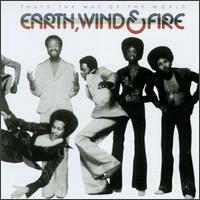 That’s the Way of the World – Earth, Wind and Fire. Maurice White, Philip Bailey, the Phoenix Horns. Enough said. 4. 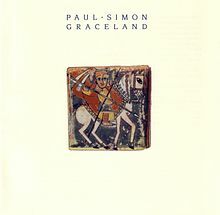 Graceland – Paul Simon. This was the album I listened to walking on the beach while wondering what I wanted to do with my life. I’m still trying to figure out why a girl would have diamonds on the soles of her shoes. 5. 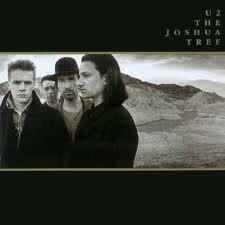 Joshua Tree – U2. The song “I Still Haven’t Found What I’m Looking For” spoke volumes to me when I was contemplating going into the monastery. I figure if a successful Bono could make that statement, so could I. 6. 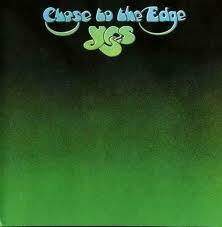 Close to the Edge – Yes. “And You And I” remains one of my all-time favorite songs. 7. 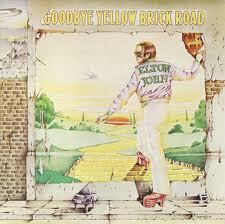 Goodbye Yellow Brick Road – Elton John. This album came out when I was in Junior High and simply astounded me. That one person could write so many different songs for one album was beyond my comprehension. I bought the songbook and learned to play “Funeral For A Friend” on the piano. 8. 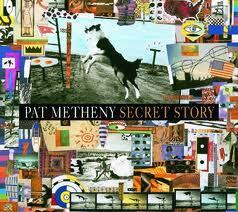 Secret Story – Pat Metheny. I listened to this album over and over after the break-up of a relationship. It seems Pat wrote most of this album after a break up. The haunting song “The Truth Will Always Be” still moves me. 9. 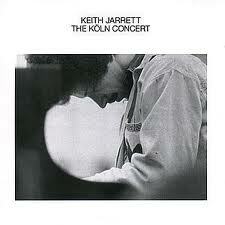 The Koln Concert – Keith Jarrett. The best-selling solo album in jazz history and the all-time best-selling piano album. Recorded before a live audience, this is a completely improvised recording. I’m still trying to figure out how he does some of the things he does on the piano. This is another excerpt from my hopefully-soon-to-be-released book Taking Off My Comfortable Clothes. The book is about the lessons I learned as an Assemblies of God minister living as a monk with the Brothers and Sisters of Charity at the Little Portion Hermitage. This excerpt is from my chapter, When God Alone is Enough (Isolation). The answers to those questions often make me squirm, but I take comfort by contemplating the lowly Loriciferans. Discovered in 1983, scientists think these tiny marine animals live in the mud between grains of sand, feeding on other microscopic animals. Since they are only about one-quarter of a millimeter in size, it is no wonder they’ve stayed hidden for so long. Since an inch is approximately 25.5 millimeters, you could line one hundred cooperative Loriciferans end to end within the space of an inch. That’s small. So what am I getting at? On the fifth day of creation, God said, “Let the waters swarm with fish and other life” (Gen. 1:20, New Living Translation). God then surveyed what He created (today we call that an evaluation) and proclaimed it “good,” and that included the elusive Loriciferans. Just because man didn’t discover them until 1983 doesn’t mean their “unknown” existence didn’t bring God pleasure. Likewise, just because my current existence remains largely unknown doesn’t mean I can’t bring pleasure to God. But only if an audience of One is enough for Jim.